as long as you make the right choices, starting from the accommodation. We got you covered on this, we can help you with anything else! if you wish a place for relaxation ans serenity for your summer holidays in Greece,here is the chance to discover Villa Livadaros on the beautiful island of Santorini. Santorini is a magical island in the heart of the Cyclades islands.Villa Livadaros built is Cycladic style offers the perfect atmopshere for your holidays with the family, friends or your partner. 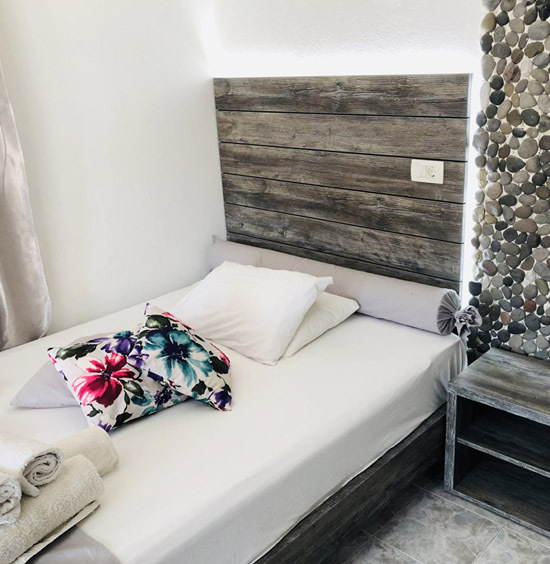 Our property has bright and fully equipped rooms with private balcony and unparalleled view of the deep blue Aegean Sea in a warm,happy and family atmosphere ,the friendly staff will treat you with the well-known Greek heartfelt hospitality. Far from worries of daily life you have the chance to enjoy the benefits from the highly organized facilities and quality services. We will be very happy to welcome you in our villa!